Is there anyone sad to see January gone? Truly, it felt like the longest month ever, and I was off the whole first week! For me I think it’s the gray skies and the general lack of light. However, in the last couple weeks I’ve noticed it getting lighter just a little earlier in the mornings and staying light a little longer in the evenings, and that feels SO good! I’ve nothing big going on this month, so am hoping February is a nice calm month with lots of time for reading great books. Do you have any fun plans for February? It seems to be feast of famine with me. Last week I only finished one book, this week it’s three. The Lost Girls of Paris by Pam Jenoff was one of those historical fictions that I enjoyed very much, but that I also know won’t stay with me all that long. It followed the connected stories of three different women during and after WWII and I think I might have preferred the book to focus more on one of them. I’ll have a full review soon. 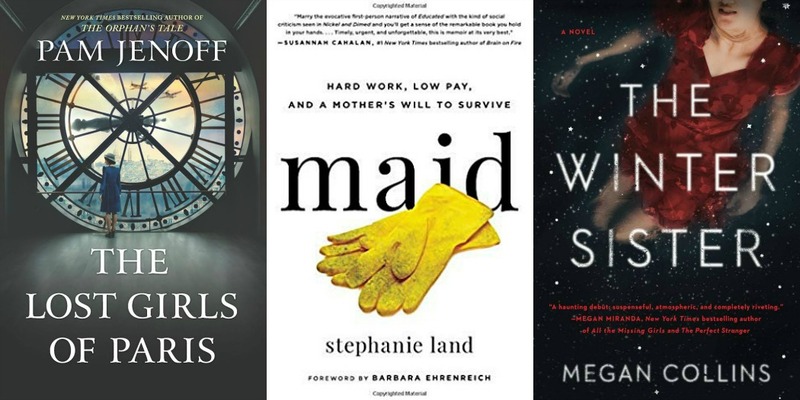 I listened to Maid, a memoir by Stephanie Land in which she shares her long, difficult journey to pull herself and her young daughter up out of poverty. It was excellent. Stop back on Thursday for my full audiobook review. After The Winter Sister by Megan Collins, I’m putting myself on a strict mystery/thriller diet! This has absolutely nothing to do with Collins’ debut. I really liked it (her writing was excellent) and will have a review later this month. It’s simply that I’ve read far too many thrillers these last few weeks and need a break! 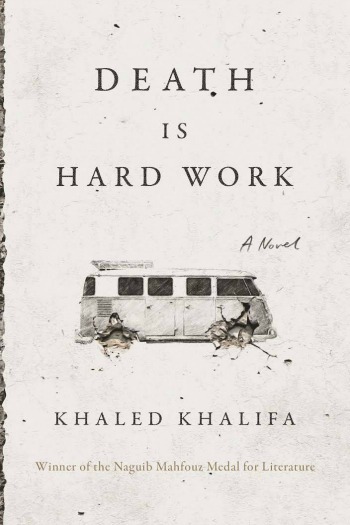 So far, I’ve only read about 15% of Death is Hard Work by Khaled Khalifa and am still not quite sure what to think. It’s the story of three grown siblings traveling across war torn Syria to fulfill their father’s dying wish: to be buried in his hometown. Yes, it’s a dark story, but I’m also finding some humor in the very dysfunctional sibling dynamics. It’s one of those books that could go either way. We’ll see! Without a doubt, I will be mood reading for the next couple of books, and these are my lead contenders at the moment. The Atlas of Reds and Blues, a debut by Devi S. Laskar, has been getting some quiet buzz and I’m interested. It’s the story of a second generation American who grows weary of the struggle for equality and fights back. This is a slim book and one I’m considering listening to. The Falconer by Dana Czapnik – My hold on this YA coming-of-age story just came in at the library, so I really should pick it up next. That YA tag has me a little reluctant, but Catherine from The Gilmore Guide to Books loved it and that’s high praise indeed. I think “romantics” in the title of this book initially threw me. I never bothered requesting an ARC of The Last Romantics by Tara Conklin, but as I read more about it, I wished I had. Luckily, I’m at the top of my local library’s hold list, so expect to get my hands on it later this week. The question is will I be in the mood for a book that’s being compared to Commonwealth and The Interestings? Well, dah! The harder question is should I listen to it instead? The narrator is one of my favorites, Cassandra Campbell. Decisions, decisions! I didn’t realize The Falconer is YA! It’s on my list too…love female athlete fiction. And, I feel the same about The Last Romantics…how could I have missed that one?! And it’s getting great buzz. I’m hoping to read it soon. March is light for me, so probably will work it in among March books. Hope you like The Last Romantics! I enjoyed the author’s book The House Girl. Somehow I missed The House Girl, but if I really enjoy The Last Romantics, I can go back and pick it up. Nice variety of books. I need to get back to my review pile. I’ve been doing some mood reading instead lately. Come see my week here. Happy reading! I’ll be interested to hear how The Last Romantics works for you on audio, if you go that route. I’m not sure it’s the kind of book I’d be able to follow very well that way, but maybe with the right narrator? I have The Falconer coming up on audio. Usually YA works for me in that format, so I’m hoping this one will too. I do struggle with the lack of light in winter, it’s always nice when it starts getting lighter in February! Sorry, I get huge amounts of spam comments when I allow anonymous comments. There used to be other sign in options but I guess Google must have turned them off. I have a huge list of things to do when I move my blog but not much time to actual start any of it! Somehow I steered everyone wrong on The Falconers. It’s not YA and I’m not sure why I thought it was. That being said, I had a snow day today and read about 2/3 or it. I like it, thought at times it’s been a little slow. If Cassandra Campbell reads it, then go with the audio for sure! I’m a bit on the fence about The Last Romantics, but the Falconer and Reds and Blues look going for. Enjoy. She’s so great. I agree anything read by her is better! I actually got to about 40% and decided to quit. It was just too slow for me. 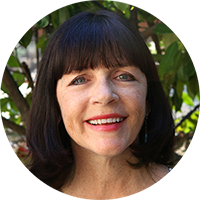 Looking forward to your review of Maid – I think that’s one I could really like! It was really good and so nice to hear such a hard won success story. I’ve been hearing a lot about The Last Romantics. 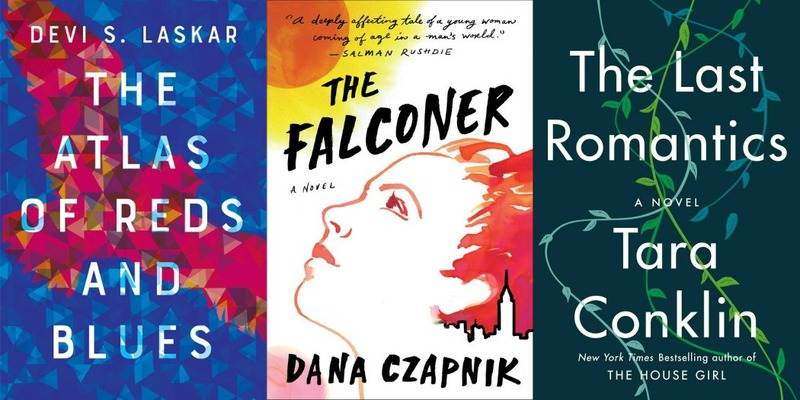 Those are certainly some intriguing comps; anything that resembles an Ann Patchett book is something I am interested in!